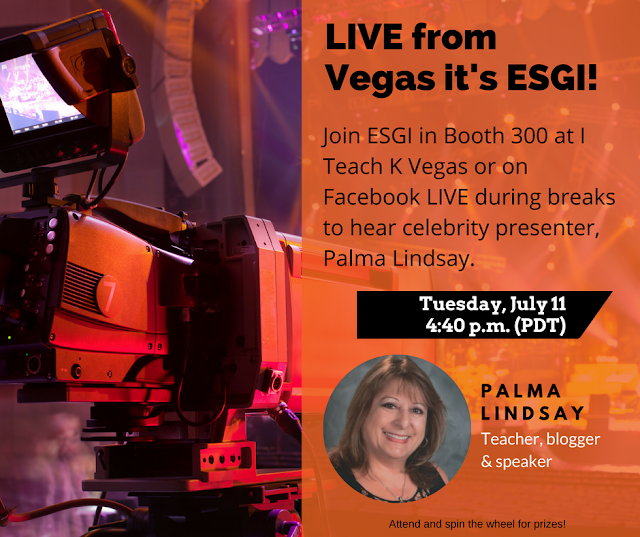 Teaching Blog Round Up: Catch Me, If You Can In Vegas or On Facebook Live! Catch Me, If You Can In Vegas or On Facebook Live! & Turn EVERY Child Into A Writer! For anyone who can't attend SDE's "I Teach K!" conference, you can catch my mini session live on Facebook! kindergarten and struggling 1st grade students! at SDE's I Teach K! 10:45- Emergent Reading: Climb Aboard The Literacy Train! 3:15- From Re-Telling Stories to Writing: Instant Success! 9:00 AM- Close Reading & the Idea of Digging Deeper.